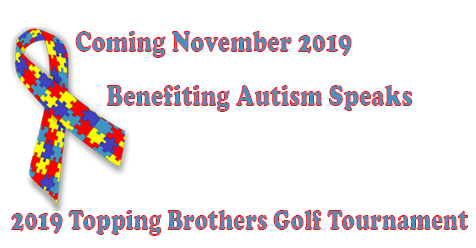 Topping Brothers, 9TH Annual Golf Tournament coming this November 2019 at The Oaks Club Valencia. Raising Awareness on Autism and finding a cure is Paramount. Visit AutismSpeaksSCV.com to donate now. Local to International!